Chacala, Nayarit is home to Cambiando Vidas which means Changing Lives. Cambiando Vidas is a non-profit corporation dedicated to providing educational opportunities to local area students. Scholarship – To provide eligible students with full or partial scholarships for secondary, preparatory, technical and university education. Academic Support – To provide tutoring, computers, internet access, school supplies and a library for students of all levels in the community. Social Network - To provide opportunities for developing leadership, problem solving and organizational skills through regular meetings and daily interaction with staff at the Learning Center and library. In addition, students are required to perform community service as a means of developing a sense of community awareness and community pride. Buildings and Equipment – To provide capital expenditures to support the existing library, the Learning Center and reserves for future growth. Chacala is a small village of about 400 residents situated 56 miles north of Puerto Vallarta on a beautiful Pacific Ocean bay. Prior to 1998, Chacala was an isolated rural fishing village until the road from Highway 200 to Chacala was paved opening the village to the world. Chacala was quickly discovered by North Americans and Mexicans resulting in the development of an active tourist trade. This change also caused Chacala residents to re-think their views on education. Before 1998, most children dropped out of school after the 6th grade to fish with their fathers or work in the family business. After 1998, it became possible for children to leave Chacala to attend high school, vocational school or college. Unfortunately, the Chacala public schools have limitations. The schools consist of a two room primary school with six grades and a tele/secondary school for the middle school. The primary school has two teachers for the six grades. In the tele/secondary school, students are taught with the help of centrally produced videos shown on a screen in the classroom. In 2009, there were only a handful of students in the tele/secondary school. Sadly, each teacher is in Chacala only a short period of time before being rotated out to a city school, resulting in a lack of continuity for the students. Cambiando Vidas was born in 1999 when Mary Ann Day, Trini Moya, Susana Connors and Viky Robelo started a non-profit organization to provide educational opportunities for Chacala students. This decision was preceded by the substantial contributions made to education in Chacala by Dale Reihardt and a number of generous U.S. Rotary clubs and Rotary International. Most notable of these contributions included the construction and furnishing of a library and a Leaning Center, renovation of the secondary school and donation of playground equipment. The initial efforts of these women and the many others who supported the program, with their time and donations, have had a profound affect on Chacala youth. In 1999, not one child in Chacala went on to high school or technical school. Today, there are 11 students in secondary school, 9 students in high school or technical school, and 13 students in college for a total of 33 students receiving scholarships. Students are now chosen from Chacala as well as surrounding communities including Las Varas and Rincon de Guyabitos. Already, Cambiando Vidas has helped several students receive high school or technical degrees and 4 students have obtained college degrees. Cambiando Vidas has truly changed the lives of many Chacala youths! 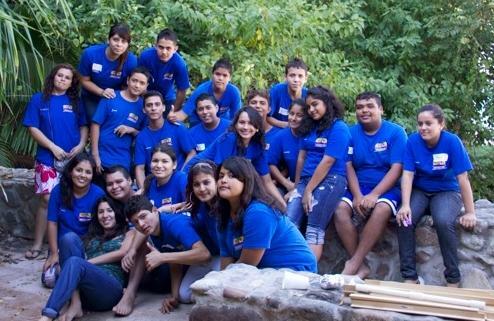 Cambiando Vidas provides full and partial scholarships. Scholarships are awarded based on financial need and student merit. A full scholarship pays for all educational expenses, including uniforms, books, tuition and transportation. Partial scholarships vary depending on availability of funds and the ability of parents to participate. For a student in the program to maintain his/her scholarship, the student needs to maintain a ‘B’ average, attend school regularly, participate in activities with peers in the program and perform community service. Over the years, community service has included recycling plastics, cleaning up Chacala, assisting with benefit sales to raise funds for the library and hosting groups of students from the USA, Canada and Mexico. This community service requirement offers the scholars an opportunity to develop an awareness of helping others, a sense of responsibility to the community as well as an opportunity to develop the leadership skills necessary to be the future leaders of Chacala. In 2001, Cambiando Vidas formed the EBACH club for the students in its scholarship program. EBACH is a Spanish anagram for grateful students in Chacala on scholarship. The club is student run, and it has taken over the organization and oversight of the students’ community service requirements. Participation in the club has gives the members opportunities to develop their leadership capabilities becoming positive role models for younger children to continue their educational pursuits. The club is a great source of community spirit for Chacala. Through its full time paid administrator, Vicki Robelo and its volunteers, Cambiando Vidas provides daily tutoring, support and guidance to the scholars in its program. Through its library, learning center and computers, Cambiando Vidas provides a safe and welcoming place to study and learn. This wonderful learning environment has been provided by many generous donors. Cambiando Vidas has a wonderful relationship with many Rotary chapters in the United States and with Rotary International. 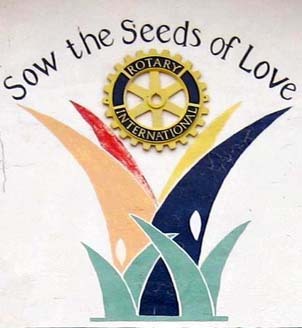 The support provided by Rotary has included generous cash donations to build and furnish facilities and scholarships as well as substantial donations of time by Rotary members in helping with the construction and maintenance of our facilities. The Rotary work parties have provided a wonderful opportunity for Rotary members and the community of Chacala to share their cultures while working together to improve education in Chacala. Cambiando Vidas is a not for profit corporation which has received recognition by the United States as a 501(c)(3) charity. It is governed by a volunteer board of directors of Chacala residents who are citizens of Mexico, Canada and the U.S. There are no administrative costs in Cambiando Vidas. Every dime you give goes directly into our program. To continue and expand the program, we need help. Would you please consider a donation to Cambiando Vidas? Of course, any amount of a donation would be greatly appreciated. The sponsoring of a student costs only $720 USD for a year or sponsoring half of a student’s scholarship is only $360. 501 (c) 3 tax -exempt status, EIN 73-1668982.